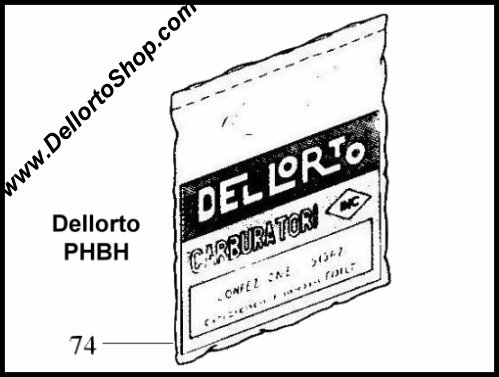 Dellorto factory-original service kit for the Dellorto PHBH carburetors. 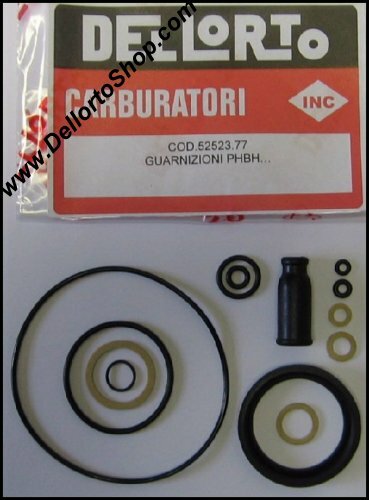 Contains all required fiber rings, gaskets and cable boot. 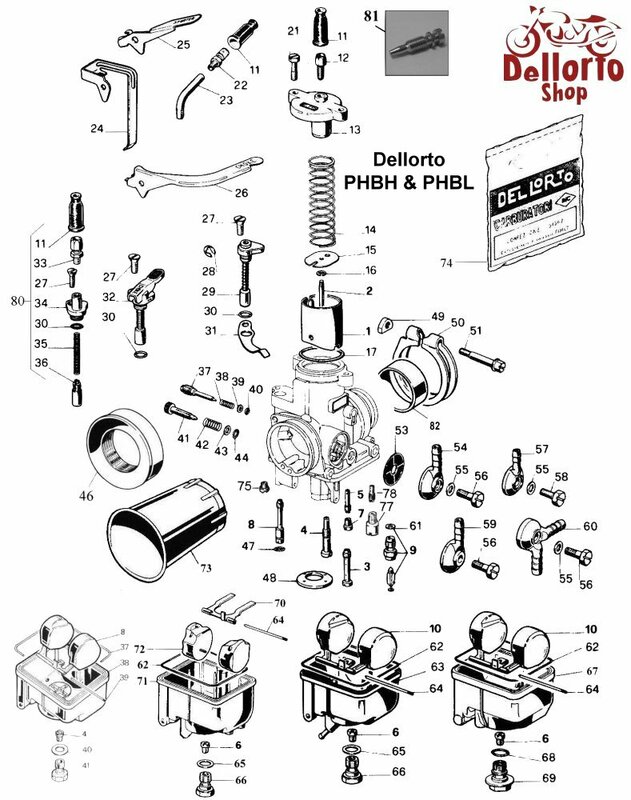 This is item number 74 in the drawing.